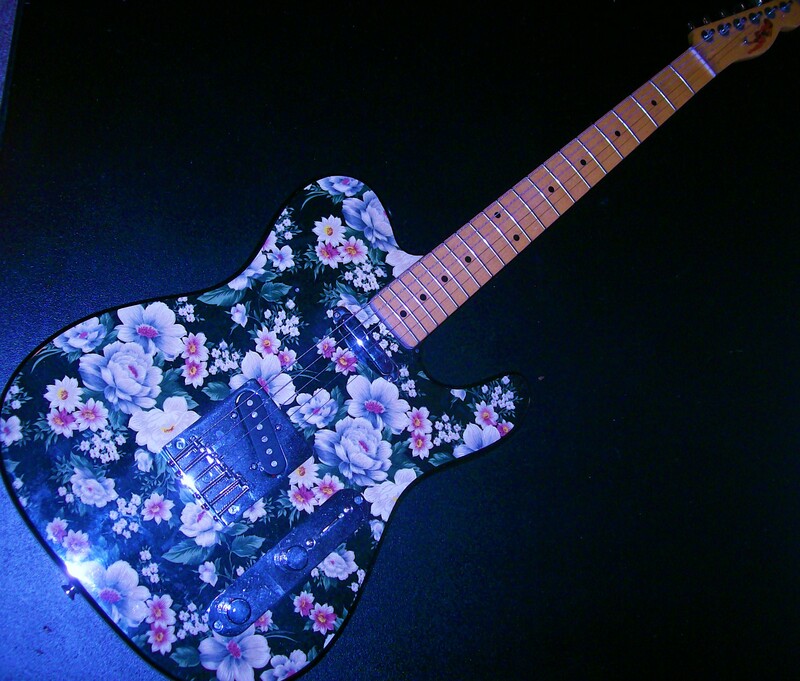 Anyway, I know it’s a girly guitar, and the flowers are — well, pretty. But I just can’t see me playing it the way it looks, so, I guess it’s in for a face lift… Hmmm. What to do? What to do?.. It is still a Telecaster, after all…I wonder what the stage lights might do as far as improvements? 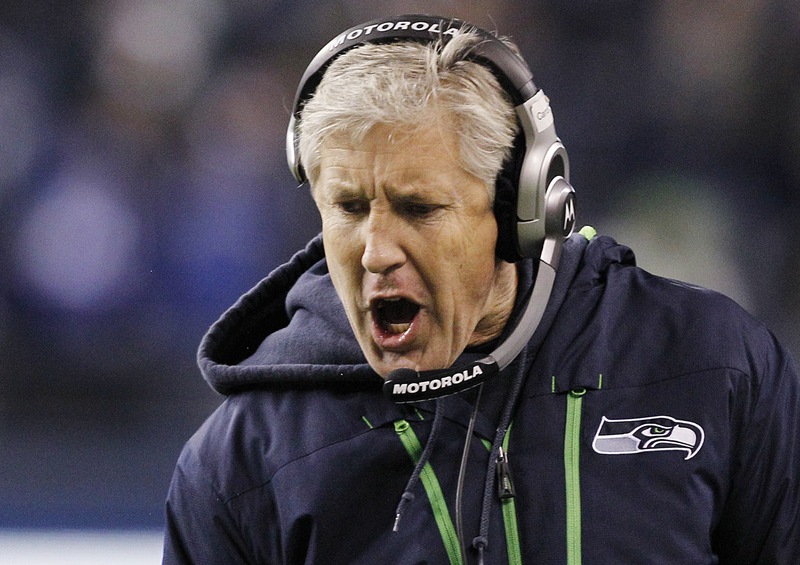 Man… what a way to blow a ball game…’COME ON MAN’! Plywood- But I love mine- Body is all you really want- right? lol Mod On Bro. Or, Sis? I’ve been looking for this particular guitar for many years. Where on earth did you find it?! Please consider a sale! 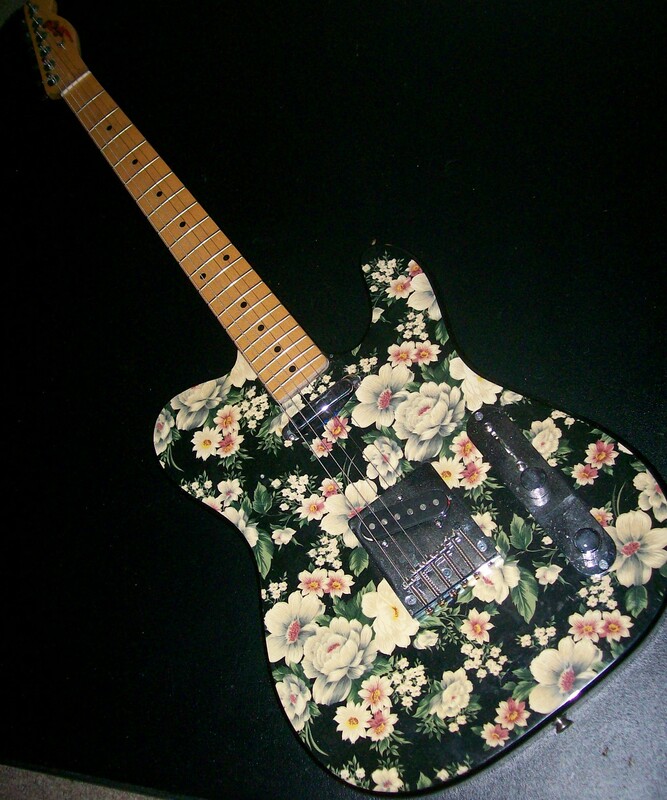 From what I can tell it appears to be a Bentley Series 10 Telecaster copy. Jeff Buckley played one. Been trying to track one down for a looong time. Makes sense that the neck has been replaced. Like I said, if you’re ever selling I’m definitely interested. Yes it is a Bentley Series 10 — I guess — I am pretty sure St. Louis Music sold Guitars under the Bentley name before changing to the Austin moniker. If I’m not mistaken they had an Austin Series 10 also for a while. 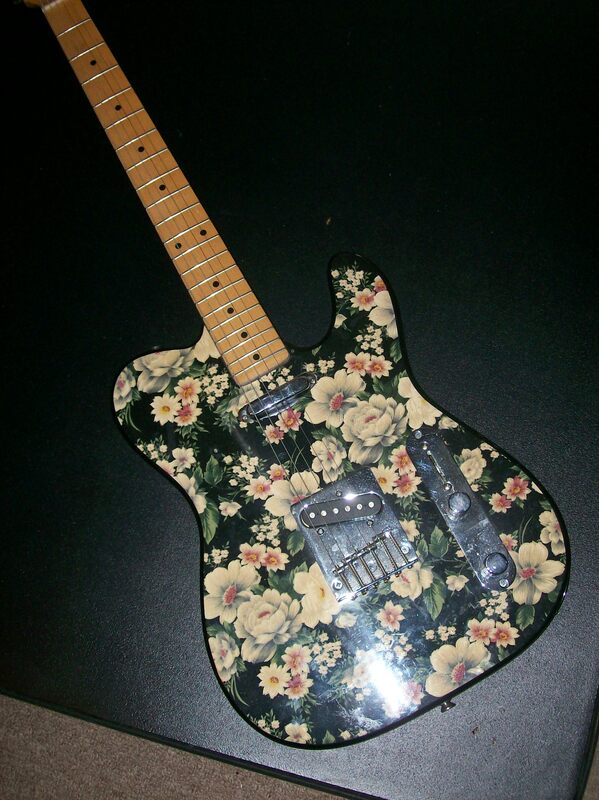 But, I’m not selling it yet I intend on setting it up as my “Blues” tele soon… of course, if it Twangs more Chicken Pickin Tones out… it will be my country guitar. I had one of the Top Line Tele Copy’s Austin put out back around 12 years ago… I wish I never sold that thing — I have a Fender Special Run Tele now also that sounds great but the neck and fret size are a little too big for my comfort zone when playing country — It does play rock sounds really well as it is an HS with the double hummer in the bridge position. The only thing other than the neck size I don’t like so much is its color. It sold as ( Cherry Red Flake ) but, turns over under different lighting and usually looks more Magenta than Red. Thanks for stopping by… I enjoy Guitar discussions. I haven’t really thought about it… I haven’t been able to work on it much since I cut out the Pick Guard Template… but, probably not at this time. Thanks for getting back to me. If you are ever looking to sell it let me know, I’m really, really interested in this model. Would you mind telling me what it says on the headstock? Would you be interested in selling this guitar? 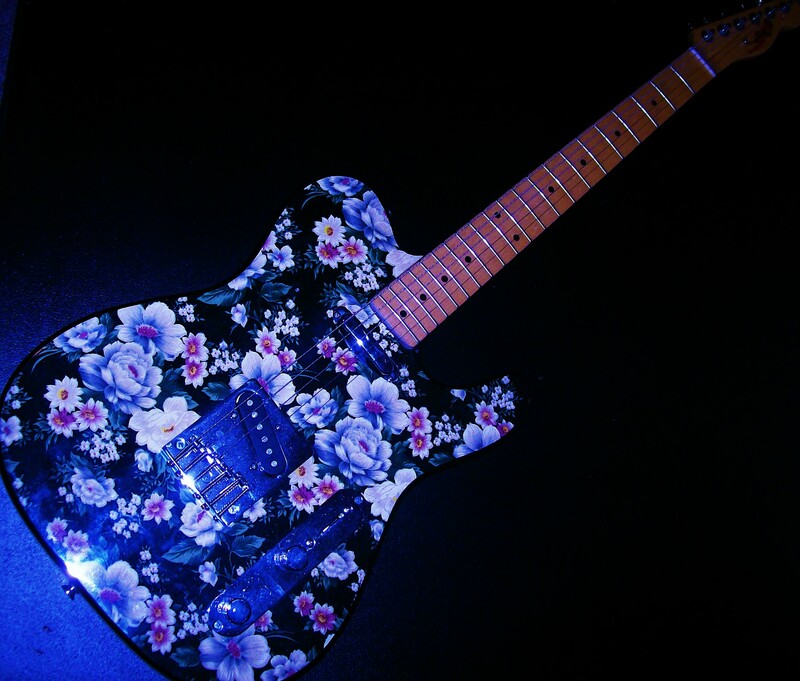 Flowers do not belong on a guitar! Sorry Deb — I missed your comment, I’ve not been all that Blogactive lately.Thanks for the visit. Adobe software and Autodesk . Yeah the colors are fine with me… just need a little accentuation, and detail… I just have to find the right material to make a pick guard now… and the studs… hobby lobby was out of the studs, and I haven’t decided on the material for the pick guard yet… maybe black leather. I’m gonna fix it.. 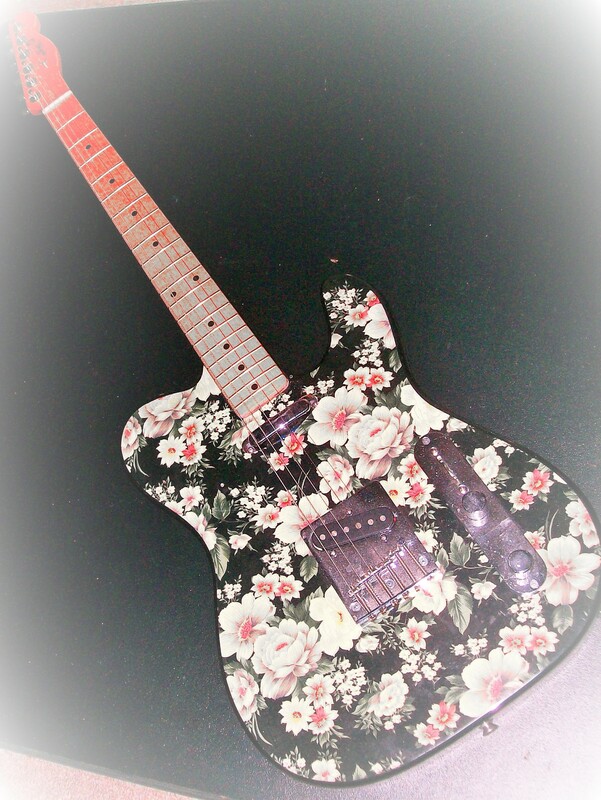 I hope..
lol, No not purple.. but visualizing it with a certain fitted pick guard.. which I’ll have to make, as the one for Telecasters wont cover enough flowers… lol purple..
Shhh.. not so loudly, Pren… we are in mixed company… you saw what Denise had to say about the “Girly” thing didn’t ya? Said it was ugly as her old aunt’s bedroom wallpaper… so, I suppose girls don’t like it either… Or, I mean, except for the Old Auntie kind of girls maybe. It isn’t ugly, it’s gorgeous, a bit twee for me but I can’t play anyway! Can’t wait to see what you do with it! BTW, as a girl I have to say that is the ugliest guitar I have ever seen. I reminds me of my old aunt’s bedroom wallpaper. lol, Yeah… sorry for the insult then.. wasn’t meant to offend.. I added a little to the post after you commented… not sure if you saw the superbowl, or, have heard about Jeff Bridges’ new Zen CD’s but,,, what is the world coming to? Ummm Ummmm Maaaawm… Hey Jeff… I have the perfect guitar for your next album… Hummmm!